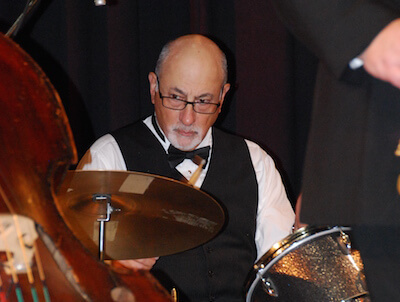 The George Jazz Group is committed to playing the music of the 30s, 40s, 50s and beyond; music more commonly know as – “Jazz Standards.” This is the music that is truly an American art form which conjures up composers with titles such as Duke and Count; musicians such as Dizzie, Ella, Buddy and Sinatra. Songs with poetic lyrics found in titles such as Autumn Leaves, Our Love Is Here To Stay, I Bought You Violets For Your Furs and I’ve Got You Under My Skin. This is the musical culture that helped form the American landscape from New York to LA, with points between such as Chicago, St. Louis and New Orleans. This is the music of our parents and grand parents as well as members of America’s youth before the word “Teenager” was coined.